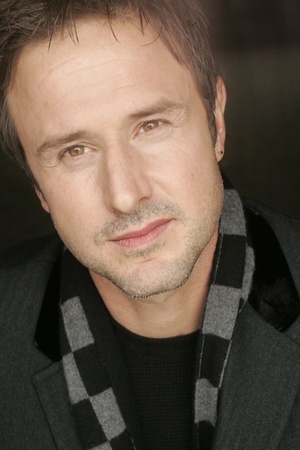 David Arquette is an American actor, known for his performances in Scream, Wild Bill, and Buffy The Vampire Slayer. He has also starred in the films Hamlet 2, 3000 Miles to Graceland, The Adventures of Sharkboy and Lavagirl, Eight Legged Freaks, and Field of Lost Shoes. David was born on September 8, 1971 in Winchester, Virginia, USA, to Lewis Arquette and Brenda Denaut. He is of English, French-Canadian, Swiss-German, German, Scottish, Irish and Welsh descent on his father’s side, and of Ashkenazi Jewish descent on his mother’s side. He is the younger brother of Richmond Arquette, Patricia Arquette, Alexis Arquette and Rosanna Arquette. He has been married to Christina McLarty since 2015. He was previously married to Courteney Cox from 1999 to 2013. He attended Mid-City Alternative school on the corner of Adams Blvd. He also attended The Los Angeles Center for Enriched Studies in Los Angeles, California. *He is the youngest child among five children. *He began professional wrestling in early 2000, competing in World Championship Wrestling. *His mother died of breast cancer. *Close friend of Stacy Keibler.